G.SKILL announces a new memory specification optimized for the AMD X399 platform – the Trident Z RGB (for AMD) DDR4-3466 CL18-22-22-42 with 32GB (4x8GB) capacity configuration at 1.35V. The new G.SKILL Trident Z RGB Kit for AMD X399 and high-performance Ryzen Threadripper processors will be the latest addition to the TZRX models. 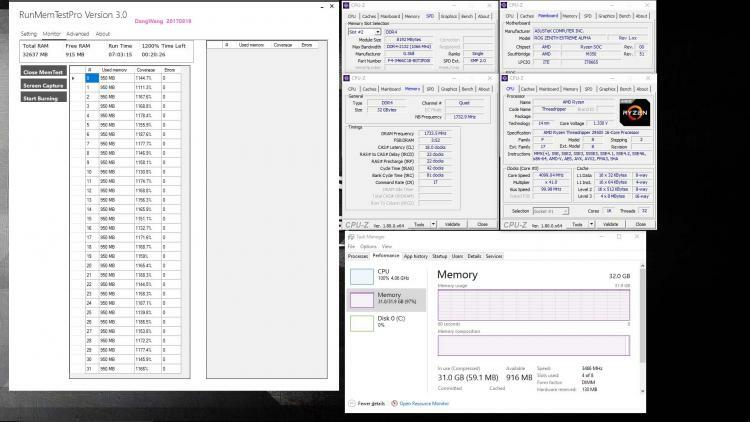 This replaces the previously highest DDR4 kit available for the AMD X399 platform which was just DDR4-3200. The Trident Z RGB (for AMD) DDR4-3466 32GB Kit is the brand’s highest DDR4 speed available to date. G.SKILL will now be expanding the specifications to DDR4-3466 in the quad-channel configuration to fit the requirements of the AMD X399 high-end desktop platform motherboards. The kit has been validated using the ASUS ROG ZENITH EXTREME ALPHA motherboard paired with an AMD Ryzen Threadripper 2950X processor. See validation screenshot below. 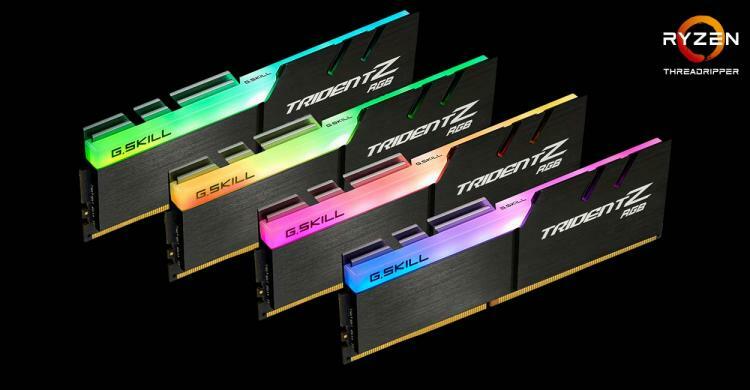 These new G.SKILL Trident Z RGB (for AMD) series DDR4-3466 CL18-22-22-42 32GB (4x8GB) 1.35V kits will be available via G.SKILL worldwide distribution partners in Q1 2019. Learn more about the G.SKILL Trident Z RGB (for AMD) Series here.